Look at you rocking the fashion post! How about some florals – a little Liberty of London? Have you seen Kiriko? Shirts, ties and other accessories made from dead-stock vintage kimono textiles. Their products are ah-mazing!!! Whoa; thanks for the link! ohhhhhh myyyyyy. so many nice things!!! thank you! I wish that last Topman shirt came in dress form!! Yeah, it’s not like everyone hasn’t already seen my underwear anyway. All that blue. *sigh* I’d drape several of these all over my guy if he’d wear them. Also: that cloud print would look fabulous on my deck. Can someone please make it in an outdoor fabric? They are very nice shirts & really inexpensive. Sadly, the bf is too conservative & my son has FORBIDDEN me from buying him clothing so I’ll just have to admire from afar. 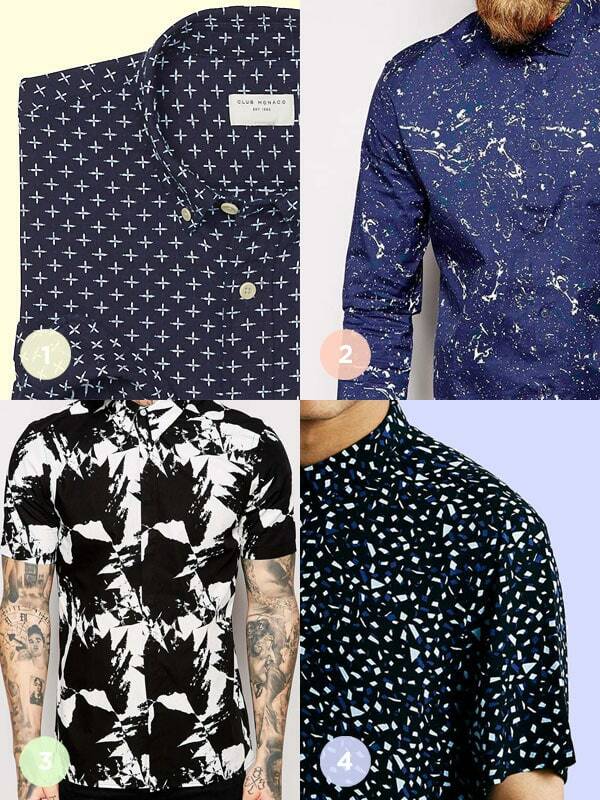 I do enjoy a patterned shirt on a gentleman….I’m thinking though full sleeve tatoos may just be too much clash with all that pattern..but that’s just me…. 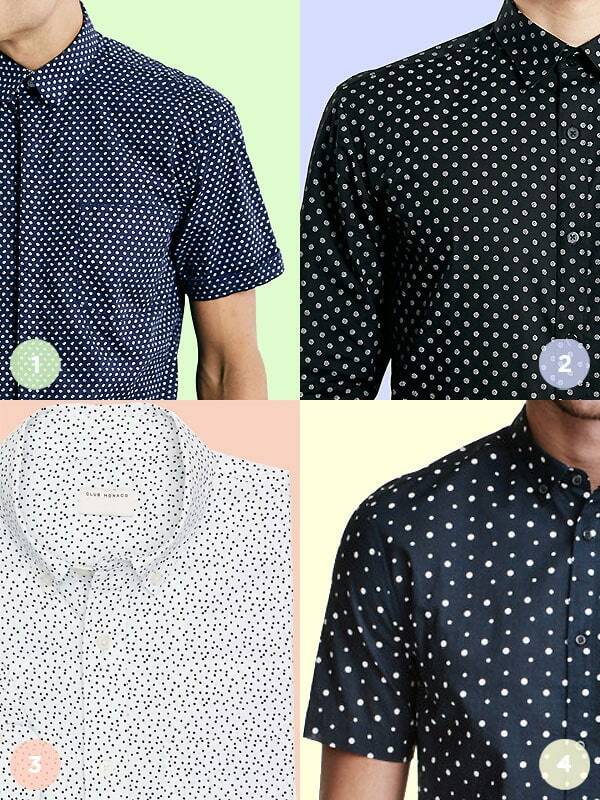 agree completely with keeping the colours to a minimum…let the pattern do the talking…. happy 4th of July to all the Yanks. I think these prints are completely non-gender specific. I like them all. I make and sell children’s clothing and I see many of the young mothers favoring these type of prints for both sexes. It seems like progress for women–but I really love pink! Nice shirts and good advice. 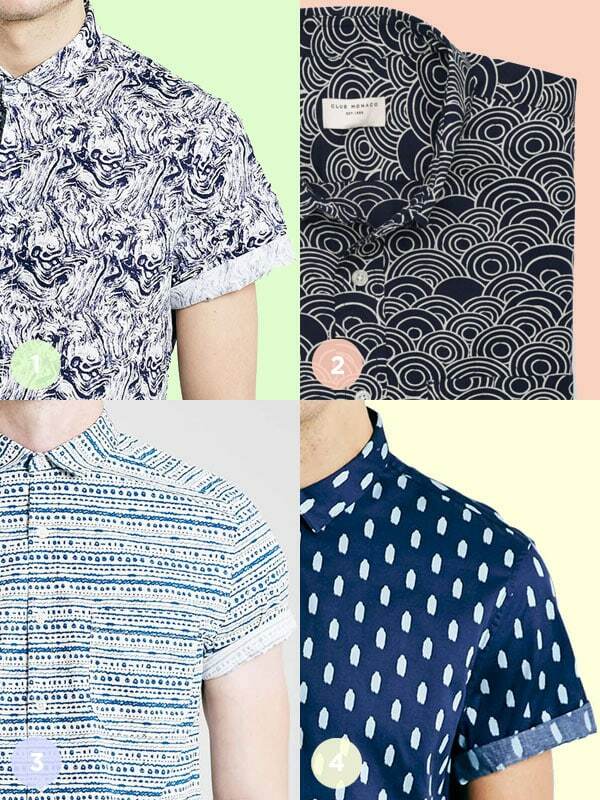 I think that #3 in the last block of photos is an example of tats competing with shirt fabric. I think that complicated tats look best with a solid or very subdued pattern. Nice, but that is a lot of black and navy going on. Try some earthy greens and earthy reds, too! i think photos #1 and #4 may actually be Daniel. Just guessing, but the roll up sleeve is definitely him. Ha! Nope, just some British model. Unless I AM a British model! Thanks for these awesome shirt suggestions! I keep waiting to see if clothing with Google Deep Dream-inspired prints are going to be a thing. I’m surprised it has not happened yet.